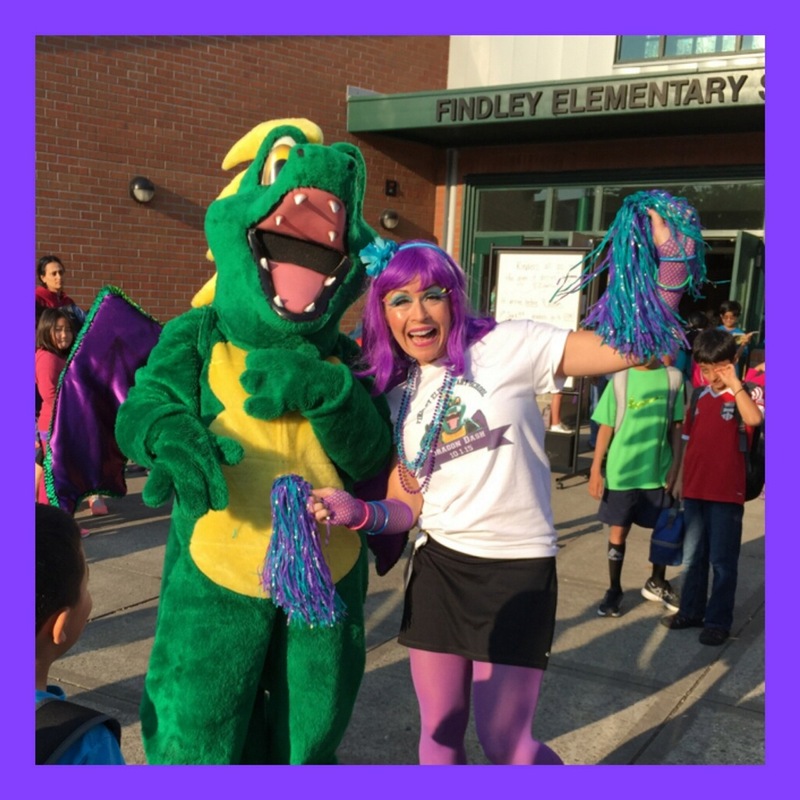 Sparky and Sparkles visited the assembly on September 11th to kick off 2015 Dragon Dash. Art Literacy ,Passport Club , Science Fair , Primary Years Program,  Battle of the Books , Biz Town , Findley Fall Fest , Carnival , Findley Flyers , 5th Grade Celebration,  Field Day,  Findley Grounds Beautification  ,Classroom material & magazines  ,Teacher Development  ,Educational Grant Support  ,Technology & Technology Maintenance , Work room support,  STEM Supply Chain Activity & Lego Engineering kits , Coder in Residence  and much more! Everyone who participates will have a chance to win fantastic prizes!